The Minister of Health, Professor Isaac Adewole, made the call on Wednesday in Abuja while addressing participants at investigative hearing on healthcare services, organised by House of Representatives Committee on Healthcare Services. of HMOs to the NHIS contributions, and utilisation of funds by the health care providers and inhumane treatment of enrollees. The minister represented by the Director of Health Services in the ministry, Mr Wampada Balami, said that the hearing would afford the committee the opportunity to determine the necessity of HMOs in the NHIS. disbursement of funds to the HMOs. gratitude to the committee for the investigation, saying that for 12 years, the HMOs had not been called to account for their “misdeeds”. the NHIS after 12 years is 1.5 per cent of the population,” Dr Yusuf said. Mr Dogara called on stakeholders to demonstrate patriotic spirit in their deliberation, saying that the task of making the nation’s health sector work for the benefit of all lay with all Nigerians. 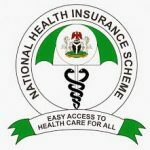 On their part, the HMOs, represented by their chairman, Dr Tunde Ladele, told the committee that NHIS position centred on hatred for health maintenance organisations. “All the actions of the executive secretary of the NHIS since July 2016 pointed to a clear case of open hatred for the operators of health maintenance organisations. It is direct victimization, deliberate attempt to stifle, disrupt and destroy the health insurance scheme,” he alleged.